In this month dedicated to giving thanks, we at Highlight Homes realize we have much for which to be thankful! Topping that list are our clients and creative partners, who often push us to exceed even our own expectations. We are thankful to have the opportunity and the talent to do what we love for a living – as an added bonus, what we do makes the people we serve happy. Of course, we couldn’t do what we do – day in and day out – without a constant stream of inspiration that comes from the people, concepts, places, and products we discover along the way. As we do every month, we’d like to share just a handful of those inspirations with you! Forward Progress: The act of making progress is truly inspiration in and of itself! 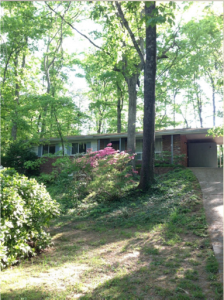 When we think back over the course of a project – whether a home renovation or a custom-built home – we are always amazed at the transformation of the “before” and “after.” A prime example can be found in the home we are currently building in Brookhaven. It went from an outdated ranch to a showstopper in the making in just a matter of months. Take a peek at these “before” and “well-on-our-way-to-after” shots to see what we mean! To see more examples of our forward progress, be sure to check out our online portfolio! GE’s New Slate Appliances: Stainless Steel has ruled the kitchen appliance market for years and it’s a popular choice among many of our kitchen renovation clients. However, appliance powerhouse – General Electric – debuted a new line of appliances in a low gloss finish they call “Slate” in September 2012 and it’s just now starting to generate a buzz as a possible successor. It’s a soft and sophisticated charcoal grey – making it a nice marriage between black and stainless steel. We predict these products will continue to do well, particularly with the rising popularity of the use of varying degrees of grey paint on the walls as one of the new neutrals both designers and consumers are loving. Glass Tile Backsplashes: We had heard going into 2013 that glass was going to be big in interior design and home renovations. While we have worked with glass tile in the past, perhaps our favorite project involving the use of it was a kitchen remodel we completed recently in Buckhead. The glass tile reflects light from the opposite windows beautifully – enhancing the use of silver and stainless steel in the hardware, appliances, and chandelier over the dining room table – for a stunning and undeniably glamorous feel. Carter House Gallery & Framing: No home renovation would be complete without the addition of items that convey the combined tastes, style, and personalities of the family who lives there. Items such as throw pillows, rugs, and object d’art (aka knick-knacks) can only accomplish so much. Great pieces of art or beautifully framed family portraits can set the tone for a room. Carter House Gallery – located in Alpharetta near North Point Mall – not only provides a treasure trove of work from talented local artists, it also provides custom framing. One of the coolest things we’ve seen in a long time – they can create a gorgeous custom frame for your wall mount flat screen TV! 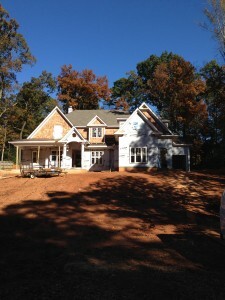 To learn more about Highlight Homes, please visit us online at www.highlighthomesga.com! 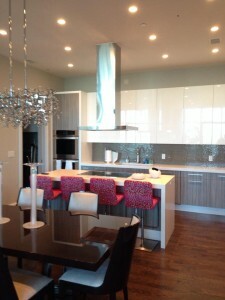 We welcome the chance to inspire YOU with a quality crafted home renovation!